Engaged work is your signature – a unique expression of who you are. Marking time? Some people make their marks while others sign their names. Are you just marking time or is your work a full expression of who you are — signature work! Impression and expression. Occasionally you see a picture of a production crew putting their signatures on a piece of an aircraft that they manufactured to indicate their investment in their work. Are you putting your signature on all your work including your intangible or knowledge work? And you know I don’t mean buying a permanent marker and scribbling all over your computer screen. Does your work not only impress others, but express who you are? Signature expression. I believe good work is an expression of who you are. We have much of our identity tied into our work and performance. When asked who we are most of us reply by telling the other person what we work at. When we not only realize this but give work our full expression we begin to sign our work. Signature moves. If you love a sport you can identify individual athlete’s strides and mannerisms from a mile away. Can the people you work with identify your work this easily? Does everyone know your signature move? A signature (from Latin signare, “sign”) is a handwritten (and sometimes stylized) depiction of someone’s name, nickname or even a simple “X” that a person writes on documents as a proof of identity and intent. 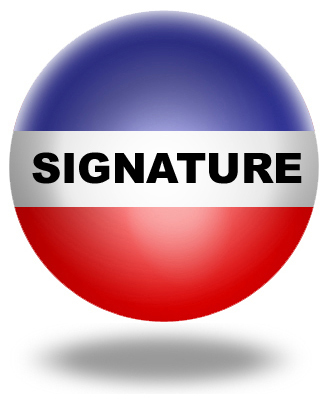 The writer of a signature is a signatory. Like a handwritten signature, a signature work describes the work as readily identifying its creator. Do you focus on making work a full expression of who you are? Do you have your unique work or performance signature? Do you “sign off” on all your work? Is your signature work a strong endorsement of your value and values? Dominate your work. Here is an old experiment. Take a moment, grab a pen and paper and quickly sign your name. Now do it again but sign your name with your non dominant hand. 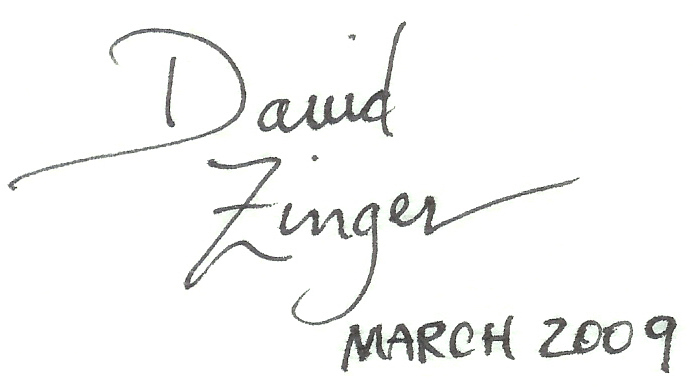 Most of us struggle to get a signature that looks as good as a fifth grader with our non dominant hand. Let your unique strengths, experiences, contributions, and learning dominate your work. Signature story. I have written about signature story at another site, Joyful Jubilant Learning. I believe we each have a signature story that gets played out in all that we do. Learn to identify your signature story by clicking here to learn more about this perspective. Can I have your autograph? If you are ever going to “make your mark” at work ensure your mark is an authentic signature of who you are and how you express yourself in the world. Who knows, people just might want you to sign in or sign up for all kinds of projects, performances, and work. Click here to read other posts on THE ONE BALL. Really super, David. And of course, as always, personal responsibility is one of the hallmarks of exceptional engagement. Thanks for the inspiration! I really like the theme of signature here, from signature work to signature moves. It helps echo the idea of find your unique voice and play to your strengths. It’s about unleashing your best. I really like your point on a signature story. It’s a way to share our authentic self in a way that’s relevant and meaningful. Thank you for the comments. It seems on second thought that signature has a special significance and feels more authentic and real than talking simply about personal branding.